As part of the library’s Campaign for the Future, we are inviting our neighbors and friends to purchase a brick that will be part of the library’s brick garden, to be located alongside the wall on Atlantic Avenue. For an investment of $250 per brick, you will be a vital part of this campaign and have a visible legacy of your commitment to our town’s shining treasure, a place where generations to come can read the names of generous contributors like you, the names of people you love, or any messages you would like to leave behind. 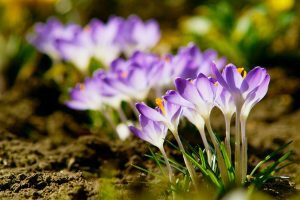 What will happen to the spring crocuses in that garden? They will sprout right alongside your brick each spring. The Brick Garden has been designed to complement and enhance the existing plantings. Each red brick is 4-inches X 8-inches X 2-¼ inches and will be sandblast engraved in Helvetica font. Donors have up to four lines of 21 characters per line (including spaces and commas) to memorialize their donation, their loved ones, or a special message. We can fit 4 lines and 21 characters per line on a 4×8 brick. We usually recommend 3 lines and 18 characters per line. It is your choice. We have a goal of raising $250,000 through this effort and invite you to join us. 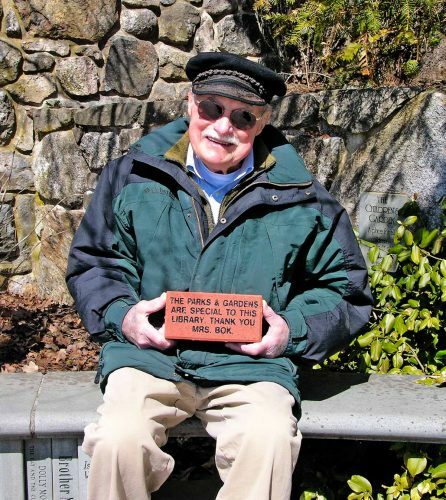 Dave Jackson, Camden Public Library Parks Director and Co-chair of the Campaign for the Future, has dedicated his brick to Mary Louise Curtis Bok.